The Process Of Making A Will? If you’re considering making a will its vital to have the whole process clear in your mind before you start and be organised throughout. If you have any doubts about writing a will, if your affairs are detailed or complicated, you should seek advice from a professional will writer or family law solicitor. each witness either – (i) attests and signs the will; or (ii) acknowledges his signature, in the presence of the testator (but not necessarily in the presence of any other witness), but no form of attestation shall be necessary. Do Your Sums – How Much are You Worth? Then deduct any debts such as your mortgage, loans, credit cards and set aside an amount for funeral expenses. If you’ve accounted for everything correctly, the end total figure should equal your ‘worth’. If your ‘worth’ figure is more than £325,000 (2015-2016 tax year) you will have a potential Inheritance Tax liability on anything above £325,000 which is currently taxed at 40% (The rate may be reduced to 36% if 10% or more of the estate is left to charity). Therefore it is important that you plan ahead and utilise all your annual gift exemptions to reduce the value of your estate and the potential tax liability. If you are in any doubt, you should seek advice from an independent financial adviser and/or solicitor. Decide who should receive any specific items from your estate and note the recipients name and address, together with accurate descriptions or photographs of the items. Decide who should receive specific sums of money including any charity donations, and again note names and addresses. For charities note the charity registration number and if a national organisation consider if the gift is to the charity headquarters or local branch. Decide how the residue of your estate should be shared. The residue is everything that remains after specific bequests and after payment of all debts, taxes & expenses. Specify what share each beneficiary will receive if more than one is named, for example, “divide equally between children”, “10% to Mrs X and 20% each to Mr Y and Uncle Z”, or “divide into 30 equal parts with 10 parts to Mr A and 10 parts to Mrs B and 10 parts to Charity”. If you don’t have immediate family, then the estate can be divided up between friends and charities. Think about who should be responsible for your children’s welfare, maintenance and education if both parents or guardians die together and how this should be funded. You should consult with your children to ensure they are happy with your choice. When appointing potential guardians it is better to consider people who are of a similar age or younger than yourselves and who you would trust to carry out your wishes. It is also important to consider how close the relationship is between your children and potential guardians now. When writing your Will, remember to confirm arrangements for any pets or other animals that may be left behind. If you don’t have friends or relatives who would accept your pets, then consider appointing a charity who would be willing to undertake the welfare and/or rehoming of your pet(s). 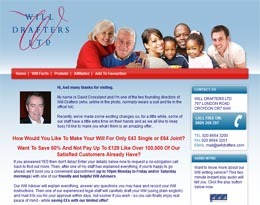 Consider and confirm what should happen if the beneficiaries of your will die before you do? 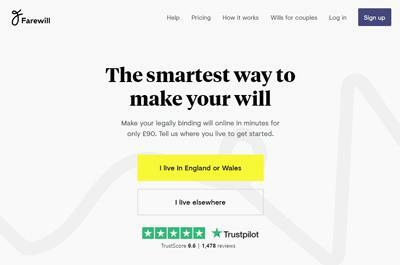 This is particularly important for the residue of your estate because if all named beneficiaries predecease you then your estate will be subject to the law of Intestacy which is what making a will is all about avoiding. You may wish to take the opportunity to record any instructions concerning organ donation and arrangements for your funeral. Close relatives should be made fully aware of your wishes in case decisions are made before your Will is located. Making a Will yourself is possible if your estate and its affairs are straightforward. 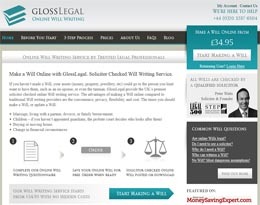 You can get examples of legal paragraphs and wordings from books, DIY will kits and will writing software. To be valid, a will needs to be in writing, either handwritten or typed and signed by in the presence of two witnesses who must also sign at the same time as you. Once you know the structure of your will, make a draft copy first to avoid making alterations to the original. Any alterations that need to be made should again be carried out in the presence of the witnesses and initialed by them. 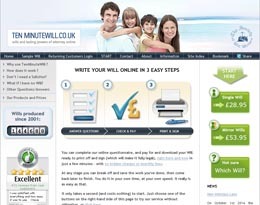 You can keep your will at home or deposit it with a solicitor or bank for a small fee. It can also be filed with the District Probate Registry or Probate Sub-Registry for about £15. Wherever you decide to store your will, ensure your family, beneficiaries and executors are aware of its location. An executor is someone nominated by you to collect together all the assets of the estate, deal with all the paperwork and pay all the debts, taxes, funeral and administration costs out of money in the estate then distribute the balance to your nominated beneficiaries according to your wishes. This balance is called the residue and is paid out to the beneficiaries, the people nominated in your will. It can be a complicated and time-consuming job so you need to think carefully about who the best person will be. Anyone over the age of 18, including a beneficiary, can be appointed as an Executor but the total number of executors you can choose is four and they must act together. They can do this themselves or they may instruct a solicitor to act for them. If you don’t appoint an executor, the Court will issue a grant of probate and appoint one to act on your behalf (usually a bank or solicitor). If your estate exceeds £325,000 (2015-2016 tax year), anything above that amount will be liable for inheritance tax levied at 40%. the Public Trustee (in England and Wales) if there is no one willing and able to act. You should always approach anyone you are thinking of appointing as an executor to see if they will agree to take on the responsibility and tell them where the Will is kept. 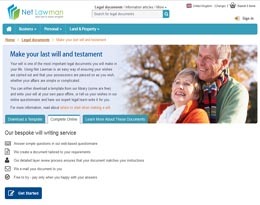 It will also really help your Executors if you keep a list of your assets with your Will, such as details of policies, investments etc, together with contact details of banks, building societies and other financial institutions so they can find everything they need in the event of your death. After writing a will it should be regularly reviewed and kept up to date, particularly after events such as marriage, divorce or birth of children. Again, if you are in doubt, or the changes involve detailed or complicated affairs, you should seek advice from a professional will writer or solicitor.